The 99-year old Detroit-based Asian American social activist is in hospice care that requires up to $8,000 a month for her long-term care. Boggs has nearly depleted all of her personal funds, so friends and allies have established a fund to help pay for 24 hour care. 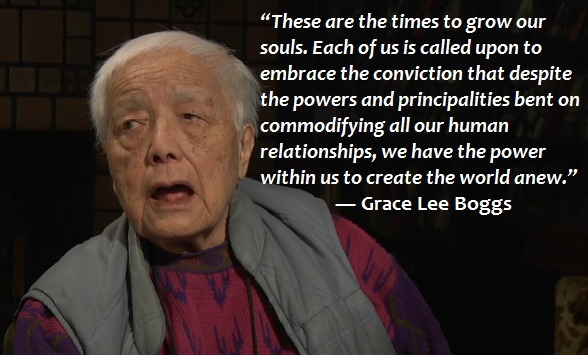 We are writing to ask for your support in keeping Grace Lee Boggs in her home in Detroit as she makes her final transition. As you are well aware, Grace is now 99, and has devoted her life to the struggle to stretch our humanity. Like her partner Jimmy Boggs, she has done so with minimal regard for personal advancement or riches. Grace’s resources are nearly depleted and those of us around her are limited in how much financial support we can all provide. Her care costs $8,000 per month. So we are making this appeal for assistance to raise these vital funds. Grace has established a Trust to which you can contribute directly. The funds from this page will go directly to the trust. 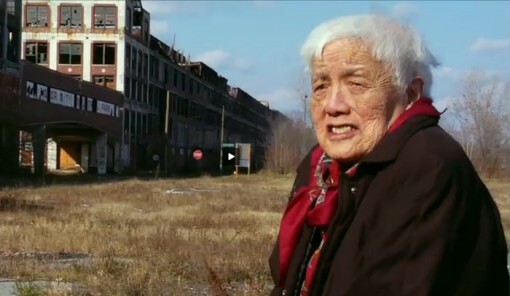 Please consider making a donation to the Suppport Grace Lee Boggs fund.